Chief Atlacatl – He was one the first heroes in this El Salvadorans country. He was actually an Indian chief who led his citizens to keep away the invasion allowed by the Spain. He became the most famous local hero in those days and 2.2 meter statue is dedicated to him in the Antigua Custatlan in La Libertad. Jose Arturo Castellanos Contreras – He was born on 23rd December, 1893 in San Vicente. 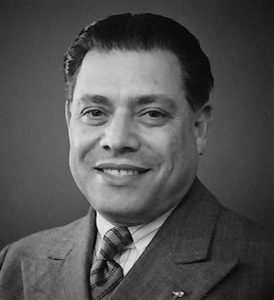 Jose was the consul general of this country and also stationed in the Geneva during the 2nd world war. He became the popular personality for saving more than 40,000 central European jews from the persecution by Nazis. Valentine Estrada – In the El Salvadoran culture, art plays a vital role at all the times. There are so many numbers of the pre-historic cave drawings specifically those found near the Guija Lake which is awesome to see. This Valentine Estrada was one of the greatest and popular artists in Salvadoran and he created huge numbers of the amazing art pieces over time. He was born in the year 1898 and still his artistic works are very popular around the world. Some of his attractive art works are the statue of the Chief Atlacatl, Rotonda de los Proceres, Obelisco y Medallon, Monumento a la Madre. He is one of the most considerable salvadoran celebrities in the art field. Jose Antonio Cortez – He was the famous former national football league player born in San Vicente, El Salvador. Later, he got the US citizenship and play in the NFL games. 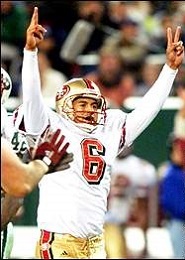 His NFL career usually began in the year 1999 and Jose was signed up by the NYC giants. Juan Jose Canas – Juan Canas was born around the year 1826 but there are no exact details about his birth. He spent most of his student days outside area of the El Salvador region and later studying medicine in Guatemala. Thus, he would become a famous doctor of this country. He is one of the famous el salvador historical figures who served more things to the medical field. Alvaro Torres – He is actually from Usulutan, El Salvador and was born on 9th April, 1954. He is the most influential song writer and also singer of this country. He wrote his first song when he was just 12 years old. Later, he has become the most popular song writer or singer and wrote/sung many songs. All of these celebrities from el Salvador are really popular and have many years of history in the different fields to have a special place in everyone’s heart.